Black Swamp 10" Double Row Tambourine with Beryllium Copper Jingles. All Black Swamp Tambourines include a tambourine carry bag. Beryllium Copper has a nice ringing color and is semi-articulate. I love this tambourine! I am not a percussionist. I am a HS Orchestra Director, with very particular tastes where percussion colors are involved. I bought this same instrument 5 years ago and it gave great service. I loaned it to one our band directors a year ago, and they split the head. I was so impressed by the sound and service of the original tambourine that I've purchased the exact same one as a replacement. 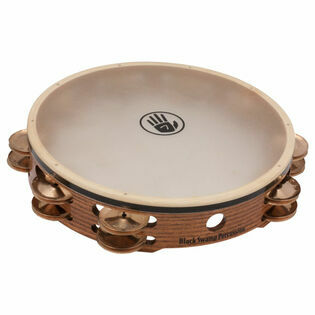 The Black Swamp 10" Double Row Copper Tambourine is of excellent quality. 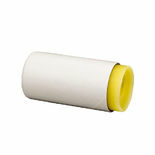 It seems extremely durable and has a great sound to it. Rolls sound seamless and articulate passages can be heard with minimum "head sound."